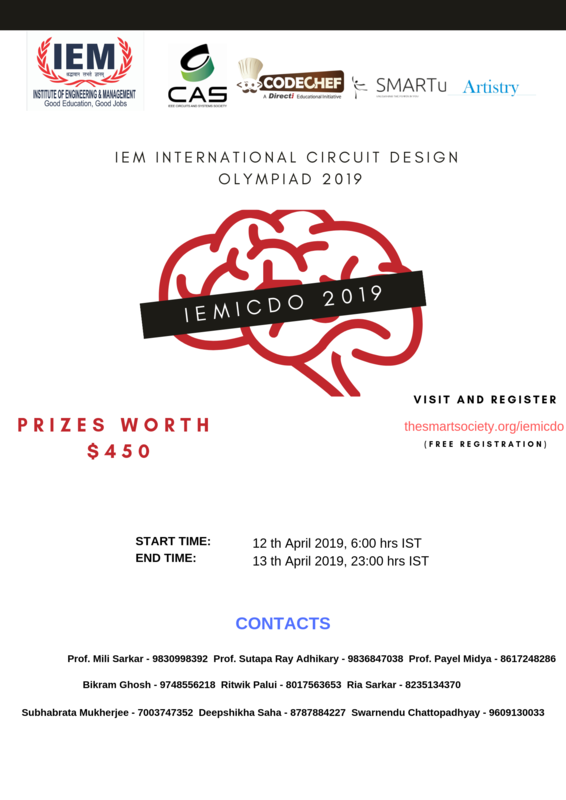 Electronics and Communication Department of Institute of Engineering & Management (IEM), Kolkata, in association with IEM IEEE CIRCUITS and SYSTEMS student chapter is organizing 1st International Circuit Design Olympiad (IEMICDO 2019). Total prizes worth 450$ and certificates will be given to the deserving participants. 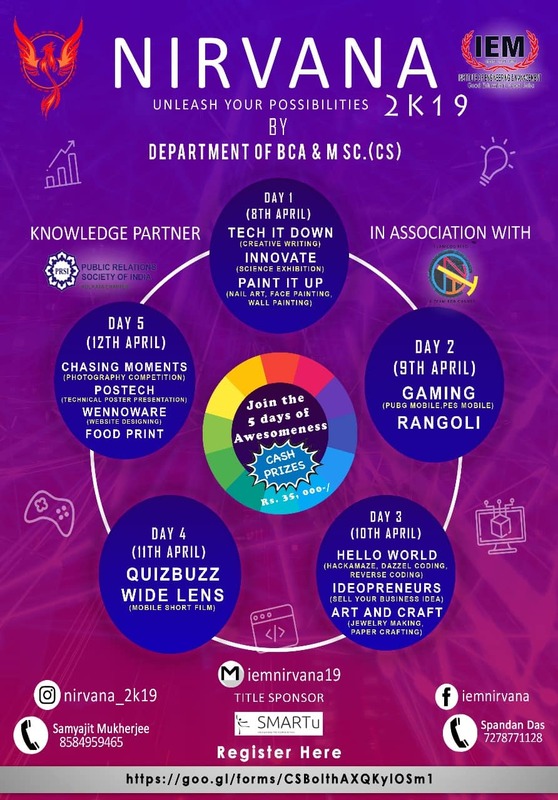 Candidates who are interested in electronic circuit design are cordially welcome.